In a column in Ha’aretz last year, historian and journalist Ofri Ilany pointed out to his Israeli audience a number of affinities between Israel and Eastern Europe, ranging from the culinary to the political (Hebrew). As an antidote to the Western-oriented provincialism of the Israeli liberal sphere, Ilany’s intervention was welcome, but building effective solidarities requires a sustained critical reflection on the questions he raises: in what ways is Israel continuous with the Eastern European region? In what ways is it not? And how can these similarities and differences be mobilized in the search for transnational solidarity? Let me begin with the most obvious objections to the positioning of Israel in Eastern Europe. Physically, Israel is in the Middle East; economically, it belongs, together with Western Europe, to the integrated core of advanced capitalist countries; geo-politically, it is an important element of the US-EU-NATO imperialist axis. On the global left, these three facts are often synthesized through the prism of “settler colonialism,” placing Israel in the same group of states as the United States and Australia – states founded on the imperative labeled by Patrick Wolfe as “the elimination of the native.” Granted, the Zionist colonization of Palestine began at a historically late date and was significantly less successful at “eliminating” the Palestinian natives than either its American or Australian analogues; its ways of managing the native population, in turn, have been fruitfully compared to the South African system of apartheid. Nevertheless, unlike these other cases, which mobilized Western European surplus populations for colonization, the Zionist movement has drawn heavily on Eastern European stock for its soldiery. Before the Holocaust, the impoverished Jews of Eastern Europe were the almost exclusive target group for Zionism; after this group was nearly annihilated by the Nazi genocide, the movement reluctantly turned to aggressive recruitment of Jews from the Middle East, but in the early 1990’s received another enormous influx of Eastern European Jews, primarily from the collapsing Soviet Union. Today, about half of Israel’s Jewish population is of at least partly Eastern European origin, and linguistic contiguity remains high – with about a million speakers of Russian and hundreds of thousands of Yiddish speakers. As Ilany points out, Zionism shared many characteristics with Eastern European nationalisms, both movements following the German volkisch model of a community grounded in a myth of shared blood. Given a boost by the international community’s post-WWI consensus on national self-determination, throughout the “short” 20th century this model served as the motor for a bloody ethnic homogenization of Eastern Europe in three main spurts that corresponded to the end of WWI, the aftermath of WWII and the collapse of Yugoslavia. The concentration and resettlement of the region’s huge Jewish population would have been a logical corollary of this ethnic homogenization if it were not obviated by that population’s physical destruction in World War II. Most remaining Jews of the region outside the USSR were pushed away to Israel and the West in the decades following the war, and many of the latter emigrated after the Soviet bloc’s collapse. After a short flirtation with non-alignment immediately after its establishment in 1948, the State of Israel decisively joined forces with the Western imperialist bloc beginning with the Sinai War of 1956. From here on its path diverged sharply from that of Eastern Europe, entering on a period of accelerated capitalist development fueled by expropriated Palestinian land, cheap Palestinian labor, and massive capital transfers from the US and West Germany. In the 1950s Israel went to great lengths to extend the logic of ethnic homogenization to the Middle East, often tacitly colluding with Arab nationalist forces to drive the region’s Jewish population to Israel. The hundreds of thousands of Jews who subsequently immigrated to Israel from Middle Eastern countries, despite their linguistic, cultural and class heterogeneity, were treated by the European Zionist elite as inert human material destined for proletarianization and strategic settlement in frontier areas. While formally granted first-class citizenship, mizrahi Jews were subjected to colonial-style abuses such as child abduction and medical experimentation, eventually coming to form a middle stratum between the ashkenazi elite and the Palestinian citizens of the state, as well as (after 1967) the non-citizen Palestinians of the Occupied Territories. Capitalist development and nation-building in Israel proceeded under the aegis of the nominally socialist Labor Party until 1977, when a nascent private bourgeoisie enlisted the resentment of working-class Mizrahim and brought the right-wing Likud to power. The Likud-Labor “national unity” government of the mid-1980’s dealt with a growing crisis of accumulation by a crash “stabilization” policy, setting the state on a new course of neoliberal development which has been pursued since by governments of both left and right. The Labor government cut short by the assassination of PM Yitshak Rabin in 1995 attempted to combine economic liberalization with the creation, through the Oslo peace process, of a “new Middle East” in which Israeli capital could take advantage of the huge labor and consumption markets of the region. But the Oslo settlement of a Palestinian “entity which is less than a state,” in Rabin’s words, was never accepted by a majority of either people, rendering fragile Labor governments vulnerable to Palestinian resistance and Israeli irredentism. The formula for a new hegemony was first found by Likud PM Ariel Sharon, who in the early 2000’s shut the door on the vistas of the “New Middle East” but, together with his Finance Minister Benjamin Netanyahu, compensated capital through new rounds of privatization and tax reduction. The rapid acquisition of internal assets has emboldened Israeli capital in carving itself a lucrative niche in the global economy, concentrating on the information technology sector subsidized by Israel’s enormous, mostly US-funded defense expenditure. By orienting itself more and more towards security and surveillance, the Israeli IT industry has made lemonade out of the lemons of the global economic crisis and the subsequent political turmoil – finding prospective clients in Eastern Europe as well as elsewhere. This has largely allowed the country to escape such characteristic effects of the crisis as bank failures, bankruptcies and unemployment, while internal inequality continues to soar and the repression of the Palestinian population in the Occupied Territories tightens. 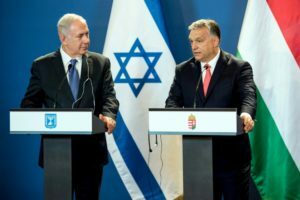 During the same visit to Budapest, Netanyahu also caught fire from liberals in Israel and abroad for his close embrace of Hungarian PM Viktor Orban, who had recently begun to openly exploit anti-Semitism in his campaign against George Soros and “cosmopolitan elites.” Liberal obfuscations notwithstanding, there is no contradiction, but rather an ideological congruence between anti-Semitism and Zionism, insofar as both agree that “normal” nationhood is predicated on geographical concentration of ethnic populations, confirming the Jewish presence in Europe as an anomaly. Nevertheless, Eastern European right-wingers who seek to follow the Israeli example are turning a blind eye to economic realities: Israel is a wealthy country, sharing in the spoils of a system of global exploitation, of which their countries are for the most part the poor victims. Today, Israeli capital is not divided into “international” and “national” factions like the Hungarian capital analyzed by Agnes Gagyi. Israeli capital is simultaneously national, in the sense of being on board with the political goals of the national government, and international, in the sense of being integrated into the circulation of global capital and identifying with its interests. Ironically, the Eastern European countries whose level of capitalist development most closely approaches Israel – the Czech Republic, Slovenia and Slovakia – are those whose elites cleave most closely to the liberal, German-led EU model. The illiberal right is consolidating a grip on power mostly in poorer countries where emulation of the Israeli path to capitalist development is quite hopeless, absent the enormous capital flows which Israel has been able to mobilize to feed this development. In another irony, the only nearby country in which a ruling right wing has been able to carve out a niche in the global pecking order that can satisfy the local bourgeoisie is another one on the margins of the region: Turkey. Like Netanyahu’s Israel, Erdogan’s Turkey serves as a model for some regimes in the region. But few of these, including those of the illiberal variety, can hope for anything like the structural stability of either Turkey or Israel. As far as the state of the political left is concerned, however, parallels between Israel, Eastern Europe and Turkey are quite striking. As Gagyi’s analysis shows – and this may be extended to other Eastern European countries – the Hungarian post-communist “social-liberal” or center-left parties were discredited by their abject capitulation to global neoliberalism. Much the same can be said of Israel’s “socialist” bureaucracy, which transformed itself into a private bourgeoisie and turned the peace process into a bourgeois class project. It is no coincidence, then, that across these countries left forces possess their most solid basis among minorities, such as the Palestinians of Israel and the Kurds and Alevis of Turkey. 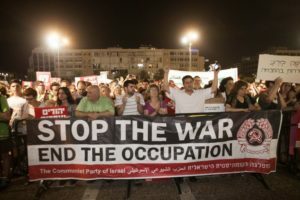 In Eastern Europe, in Israel and in Turkey, the left faces the challenge of an association, among national-majority ethnic groups, between internationalism and human rights on the one hand and foreign intervention and class warfare from above, on the other. Under these circumstances, the groups most brutalized by capitalist globalization – Roma and other minorities, migrants, refugees – are perniciously identified with the very powers to blame for their plight and everybody else’s. Unlike in many parts of Western and Southern Europe, where the possibility of recuperating national sentiment in left-wing bids for power is being vindicated, in most of our local contexts the left has no choice but to play the “voice in the wilderness,” keeping open the possibility of an internationalist anti-capitalism in the face of structural conditions which, despite the clear differences between them, preclude access to state power for the foreseeable future. Under such circumstances, fashioning and intensifying cross-border connections is an imperative not only for survival, but for a horizon of hope. If we are to survive repression, we must be able to mobilize support in each others’ countries, linking those lefts that form a majority (or a plurality) of national minorities to those that represent an often tiny minority of local ethnic majorities. More importantly yet, if we are to convince others that it is possible to be pro-refugee without being neo-liberal, pro-democracy without being anti-poor, pro-Palestinian without being anti-Semitic, and so on – then we must prove it not only with words but with effective solidarities of the sort that LeftEast seeks to fashion. Only on this basis can we make a future beyond ethnonationalism and capitalism anything but a distant fantasy. 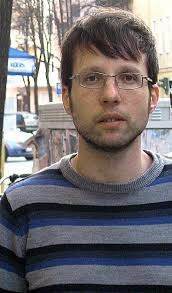 Israel’s position on Venezuela  ..
Orbán in Jerusalem: The illiberal axis ..
Matan Kaminer is a doctoral candidate in anthropology at the University of Michigan and an Israeli left activist, a member of Academia for Equality and the Democratic Front for Peace and Equality. Intra-Jewish ethnic terminology in Israel is highly contested. The most common term for this sort of ethnicity, ‘edah, literally means “congregation” and originally signified a community defined by its liturgical tradition. In the modern era, the ashkenazi (literally German) tradition was practiced across Christian Europe, while the sefaradi (literally Spanish) liturgy was carried by the diaspora of Iberian Jewry across the Mediterranean basin, including the communities of the Middle East and the Balkans, eventually prevailing over older traditions, known as mizrahi or “Eastern”, in many of these. In Israel today, these terms have become detached from religious practice and acquired an ethnic bent, becoming politicized in the process. 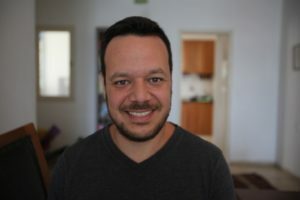 The term ashkenazi now covers all privileged Jews of European origin, while mizrahi has come to denote “the rest” – Jews perceived as Eastern and treated as inferior by the Israeli establishment. Thus, a great deal of ambiguity remains, with Jews of a variety of origins – including Balkan, Ethiopian, Caucasian, and even Russian Jews – ill-covered by either category.